Before I get too far along in this uber-specific Oscar recap (yes, I meticulously took notes on the most obscure and most enjoyable parts of last night’s show), I’d like to start off by saying that I managed 17 for 24 in predictions – so, not the best, but respectable. I’ll aim for a clean sweep next year. But anyway, thanks to a pretty great ceremony that was scads better than last year’s (Slumdog! Slumdog! Slumdog! Yawn. ), it was an enjoyable night that the shows’ producers apparent goal was to render their viewing audience blubbering messes. **The best presenting team of the night was hands-down Tina Fey and Robert Downey, Jr. An odd combination, yes, but their banter about the difference between writers and actors was great fun. Get these two in a movie together! **Did anyone else laugh out loud with joy when Carey Mulligan and Zoe Saldana’s walking music was “Thank Heavens for Little Girls” from Gigi? Marc Shaiman made some inspired choices this year. **Probably the funniest one-liners from the night’s hosts (who were awfully absent for most of the show) was Steve Martin, in fine form, comparing himself to Precious‘s Gabourey Sidibe. “In our first movies, we were both born a poor black child.” Great The Jerk reference. **I was duly impressed with the John Hughes tribute, which, unlike most Oscar tributes, was well-pieced together and moving (and that assembly of 1980s/1990s teen stars was great fun. Watch it here. **And the Helen Mirren Award for hottest sixtysomething in the room goes to Sigourney Weaver. And Helen Mirren. **Is it totally wrong that my favorite speech of the night (in terms of humor) was the Animated Short winner for Logorama? He thanked the 3,000 trademarked logos for allowing him to infringe upon them. Nice touch. **All right, as expected, Mo’Nique’s speech was as usual moving like a gospel preacher. But for me, it was the extended clip of her riveting scene from Precious that had me a hyperventilating mess for the first time of the night. Many more to follow. **Biggest surprise of the night goes to an unlikely category – Adapted Screenplay – where Geoffrey Fletcher took the award (rightfully) for Precious. And to think that at that point of the night the movie was the win leader! **My most pissed-off moment of the night? The point when I realized that the Twilight kids had a better seat than Kathy Bates. Seriously, they’re a couple of bland cardboard cutouts, and she’s an Oscar winner for crying out loud! They somewhat redeemed themselves when they had her present Avatar for Best Picture. **Worst presenter of the night – Jennifer Lopez. 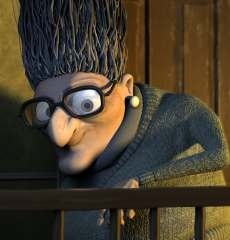 Although it was pretty comical when she gave such a heavy accent to pronouncing Marco Beltrami in the Best Original Score category and then pronounced the nominee following him as “du-SPLAT.” And sheesh, when Sam Worthington, with his uber-thick accent, announced the winner was Michael Giacchino, did anyone else think he said Marco – as in Beltrami? **Most confusing intro of the night – you can understand my excitement when I heard the theme from E.T. begin to play and the announcer sounded so excited you’d think she was announcing the arrival of Steven Spielberg But then – “And now… [drumroll]… preeeeeeesenting…. [drumroll]… Eliiiiiiizabeth Baaaaanks!” Umm…. **Does it bother anyone else, though I don’t even like The Hangover, that Bradley Cooper gets to present all the awards even though he was the worst of three lead men just because he looks good in a tux? Where the hell is the far-superior Ed Helms? **Jason Bateman presented Up in the Air… and all I could hear was someone loudly slurping something into a microphone. Anyone else hear that crap? **Pause from the ceremony to get all Super Bowl on you folks – best commercial goes to the Jimmy Kimmel / Ben Affleck / Jennifer Garner ad. Runner-Up: the teaser for this week’s Modern Family. **Did anyone ever foretell that someone from Short Circuit would win an Oscar? Well, now Best Documentary Feature winner Fisher Stevens can fulfill that prophecy. **Lamp shades? I don’t get it. **On the lead acting categories, I was both glad to see the return of the previous-year, opposite-gender award hand-off – but even more, I was very pleased with the one-by-one co-worker tributes from fellow actors. Very personal and very moving. Hell, Michelle Pfeiffer even made Jeff Bridges cry! **The best actor-to-actor tribute came from the unlikeliest of sources – Tim Robbins to Morgan Freeman?! Yeah, the “Ted, would you get me a cup of coffee” line was great fun. **In the words of Liz Lemon, “Oh, Oprah.” Beautiful speech for Gabourey. So beautiful, in fact, she rendered the normally bubbly, giddy girl to tears. There’s something about Winfrey. **I know there are haters out there, but that image above of Sandra Bullock holding an Oscar is one I’ve been hoping for for quite some time. Her speech was also a perfect combination of funny and moving. Her initial hug fake-out to Meryl Streep on the way to the stage was hilarious, and her tributes to Carey Mulligan (“You’re so talented… you make me sick.”) and Meryl (“She’s a great kisser.”) up on stage were expertly delivered. And her tribute to her late mother made the night for me. **Tell me – did the producers want to wrap it up quickly, or was Tom Hanks plastered? Uh, Tommy… you forgot to even say the nominees! Kind of a letdown for a category that usually has so much build-up and drama. Ah well… at least he basically gave Kathryn Bigelow a panic attack from overwhelmedness since she’d barely exited the stage before she was dragged back out. 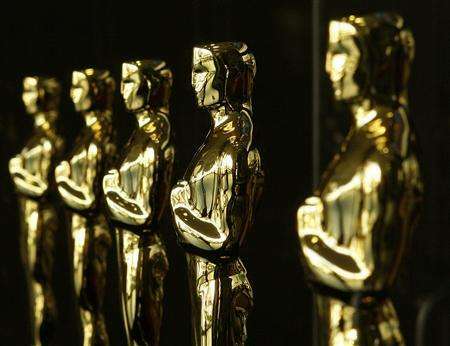 All right, we have to admit that most of us tend to tune during two parts of the Oscars – the speech from the Academy president and the presentation of the animated, documentary, and live action short awards. So in order to hype up the latter, here’s a rundown of the nominees for Best Animated Short. Watch them before the ceremony tonight so you know which one you’re rooting for! Synopsis: A man encounters a persistent beggar and an unlikely rush with the law while sitting in a cafe for an entire day. The Verdict: The short is at times cute and at times somewhat of a downer (or maybe it’s just European) – but mostly cute. The problem is that it seems to be attempting to be a Pixar short, which it doesn’t quite live up to. Synopsis: A crotchety grandmother tells a somewhat eerie tale to her restless granddaughter, despite her insistence not to. The Verdict: All in all, this one sort of reminded me of a DreamWorks Animation piece, meaning it’s rifled with silly laughs and not scads of originality. It is, however, one of the funnier entries here. 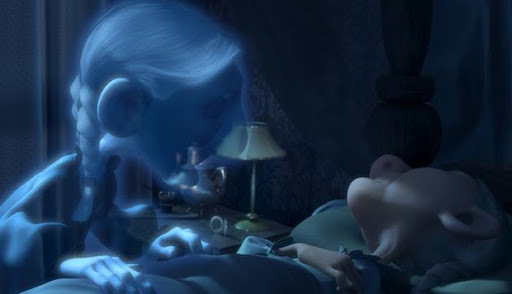 Synopsis: An old woman goes to sleep for her final hour, ready to meet her husband in the afterlife – but things get sidetracked. The Verdict: I rather like this one – it, like French Roast, tackled a little more serious subject (and had a rather dark undertone by the end), but it was highly enjoyable nonetheless. Synopsis: Two Michelin men on their crime beat encounter the unlikeliest of perpetrators in a city made entirely out of popular trademarked logos. The Verdict: At times sounding like the dialogue was taken directly out of Pulp Fiction, this one’s very visually entertaining. I can’t imagine how much time was put into inserting all of those insignia. Synopsis: Wallace and Gromit are back, running a successful bakery, but something evil’s afoot as all the area’s best bakers are dropping like flies. 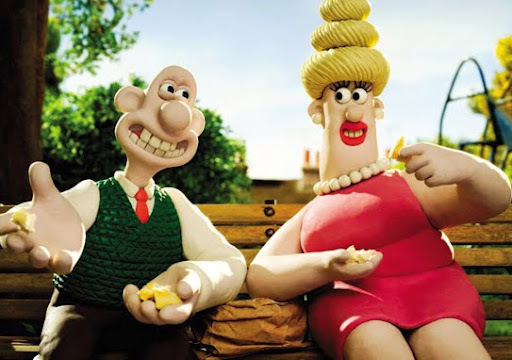 The Verdict: It’s hard not to love everything Aardman Studio puts out – particularly when Wallace and Gromit are involved. Inventive, funny, adventurous – just to name a few descriptors. After last night’s 2009 LCT Awards ceremony (which had record attendance! ), the following winners were chosen from the aforementioned nominees in Film, Television, Music, and Miniseries. Stay tuned for the “Best of the Decade” extravaganza to begin very shortly! featured column at the LAMB blog! Hey folks. Just thought I’d let the readers know that a column of mine on the Best Original Score category at this year’s Oscars has recently been featured over at the Large Association of Movie Blogs (LAMB) site, a group of which I’ve recently become a part. Head on over to the site to check out my write-up! It’s a part of their annual LAMB Devours the Oscars series, which I luckily got a chance to be a feature writer for. Well, the Oscar nominees were announced this morning, and I thought I’d offer up some of my thoughts on the Academy’s choices for the best of 2009. As far as my predicting went, it was merely okay, apparently – Best Picture (7 for 10), Best Director (4 for 5), Best Actor (5 for 5), Best Actress (4 for 5), Best Supporting Actor (5 for 5), and Best Supporting Actress (3 for 5). I suppose I should’ve given Crazy Heart a boost in the right places (Supporting Actress, ahem) and give more thought to the meteoric rise of The Blind Side (Best Picture?!). So though there weren’t a lot of surprises on nomination morning, I did notice a few that seemed to be upsets of some form. Of the main six categories, the acting ones offered virtually nothing surprising. The inclusions of The Blind Side and District 9 in Best Picture over precursor favorites Invictus and Nine was a somewhat surprising move. And Lee Daniels edging out Academy favorites Clint Eastwood and the Coen Bros. was a nice surprise in Best Director. Perhaps the biggest surprise of the morning, though, came from the unlikeliest of sources – Best Animated Feature. 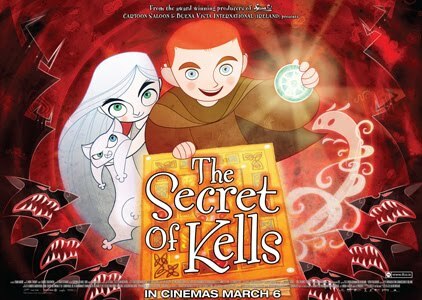 When the obscure little movie The Secret of Kells was announced instead of more popular fare such as Cloudy with a Chance of Meatballs or Ponyo, it made it worth it to wake up at 7:30 for the announcement. And upon closer examination, it comes as no surprise that the two truly weird categories to predict – Makeup and Song – came in with strange entries as well, with the little seen Il Divo and Paris 36 managing slots.